Home »Canada»Happy New Year from Canada! I saw the majestic Niagara Falls for New Year in Ontario, Canada. It was cold, wet, and dreary, but so worth it. 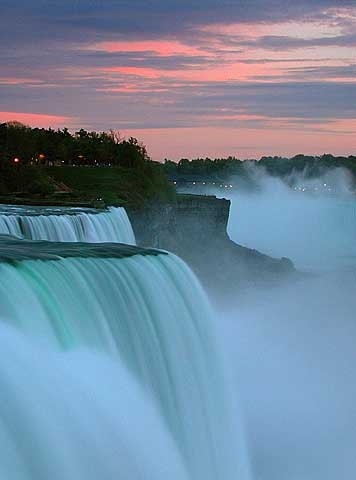 The Niagara Falls are on the list of 29 places people must see in the U.S. before they die. 2014 was a great year. I acquired license to practice law, received lawful permanent resident status, traveled to Fiji, Canada and Australia, launched a professional career as an attorney, and bought a new home. My New Year’s resolution is to acquire several new citizenships, or at least ability to reside in various different places. On that note, I must implore my readers to check out Canada’s new Express Entry system for skilled immigrants initiated by its Conservative government. It looks quite promising. If the U.S. had something similar, it would solve most problems plaguing its employment-based immigration system.